The Compass Workshop — karima. Hey guys! I am Karima, and I am so excited to be partnering with The Compass Workshop. I absolutely love working with photographers, and branding for photographers is so dang important. BUTTTTTT I remember when I was even starting to create my own personal brand, and the feelings of overwhelm I got from doing so. Like, what-the-heck-does-branding-even-mean? I was stuck in analysis paralysis for a LONNNNNGGG time, trying to figure out what I wanted my business to stand for and switching my logo up almost every week. Because lets be honest, branding yourself is hard. Trying to figure out who you are, how you are different and what you have to offer the world is hard. The biggest mistakes I see photographers make when it comes to branding all goes back to one thing: a lack of authenticity. Guys, you DON’T have to do what everyone else is doing. Imagine how weird the world would be if every restaurant in the world tried to mimic McDonalds branding because it was successful? All we would see is a lot of red, yellow, and very tall clowns running around (which sounds very uncomfortable in my opinion). It’s all about talking to people who have done it (just like you guys are/have) figuring out what works, and most importantly: doing what feels right for you. Be yourself. I will scream this from the rooftop, guys. Too many photographers follow the trends that are just that- trends. They will go away with a new season. You don’t have to do that- guys. Strong brands aren’t trendy, they’re real. The first step of branding is to build the foundation of your brand. I will delve deep into strategy, figure out what is authentic and true to you. I love building sites for photographers that CONVERT visitors into paying clients- because what’s the point if not? Want to up your game with some custom business cards, postcards, a download lead magnet for new clients? I can help. yessssssss, i want to work with you! 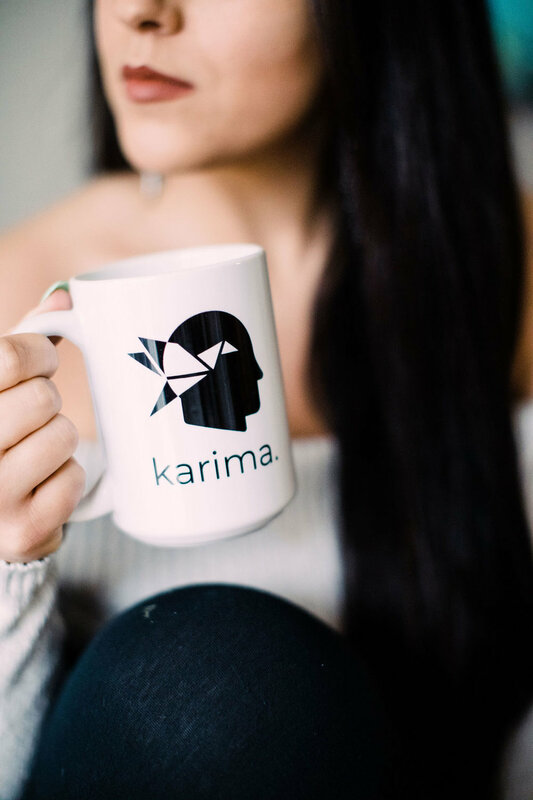 “Choosing Karima to re-design my website was the best decision ever!! Since my website has been finished by Karima, I’ve had more website inquiries than I’ve ever had and I have people emailing me because they love my website and feel like they know me before we even work together! I’m also offering TOTALLY FREE moodboards for clients who come to me through The Compass Workshop.